Befriend a dragon and harness its powers to destroy evil in this episodic adventure. 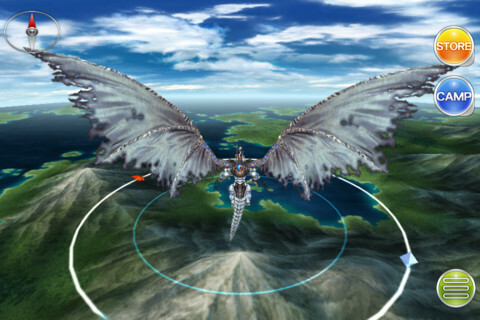 Square Enix has been on a tear of late, at least when it comes to iOS role-playing games. Last week, it was a Final Fantasy Dimensions and a DS port of The World Ends with You. This week, it's the surprise release of Drakerider, a brand new IP. Similar to Dimensions, this is an episodic RPG. The first chapter is free, while chapters two through five are $6.99 each. As for the plot, you play as Aran Lawson, mankind's final hope against the evil Dread. Joining Aran on his journey is Eckhardt, a dragon companion that plays an integral role in battle. Instead of turn-based combat, the goal is to control chains attached to the creature. Give the dragon too much freedom or tension, and it will turn on the hero. Curious to see how this works. The fact that Drakerider is iOS exclusive has us intrigued, to say the least. We'll have more on this promising game in the days ahead. In the meantime, expect it to hit the U.S. App Store sometime this evening.